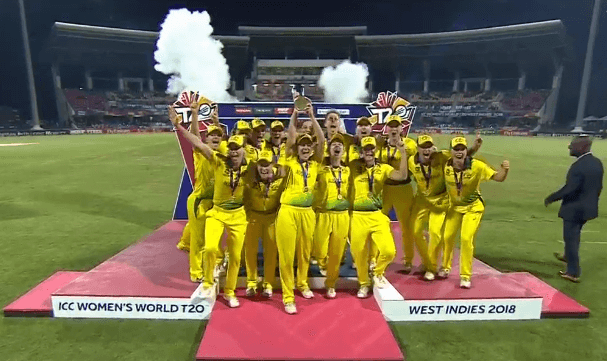 The ICC Women’s T20 World Cup 2020 is scheduled to be held in Australia from February 21 to March 8 in 2020. In the same year, ICC Men’s T20 World Cup 2020 will be held from October 18 to November 15 down under. Prior to this, the tournament was known by the name World T20. This will be the first occasion that the Women’s and Men’s tournaments will be organized as separate entities. The iconic Melbourne Cricket Ground will play host to the finals of both the World Cups. As far as the ICC Women’s T20 World Cup 2020 is concerned, 10 teams will compete across 23 matches. There will be 13 different venues in Australia. The 10 teams will be divided into 2 groups of 5 each. While Australia, New Zealand, India and Sri Lanka form the Group A, England, Windies, South Africa and Pakistan lie in Group B. One slot of each group will be filled by a qualifying team through a qualifier tournament to be held in 2019. The defending Champions Australia will kick off the tournament against India. On the other hand, the ICC Men’s T20 World Cup 2020 will feature 12 teams. They will compete in 45 matches to determine the champions. The top 8 teams in the rankings as of December 31, 2018, have earned a direct place in the Super 12 round. Pakistan, Australia, Windies, New Zealand have been kept in Group A. The Group B comprises of India, England, South Africa and Afghanistan. Two qualifying teams will find a place in each of the 2 groups. Sri Lanka and Bangladesh, who are ranked 9th and 10th respectively, will take part in the qualifying tournament. Pakistan will take on Australia in the opening encounter of the World Cup.